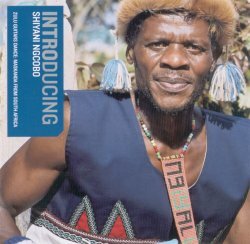 Perhaps, having been roundly ignored by the local music business his whole life, Zulu guitar maestro Shiyani Ngcobo took pride and some sort of heart in the fact that when, already past fifty, he finally got to record an album of his own, it was at least one that was released overseas to significant critical, if specialist critical, acclaim. One of the ironies of his life, and perhaps musical life in this country generally, was that it took a British label to record this most South African of artists. Another of those ironies was that the local record industry had marketed the maskanda style for so long as pop music – albeit consistently engaging and exhilarating pop music - dressed in pumping electric bass grooves, palpably synthetic electronic drums and lashings of musical cheese, that an audience had been created that not only apparently did not appreciate what Ngcobo continued to play, it might not even have recognised it as real maskanda. The syndrome is by no means unique to neo-traditional South African music, of course. Artists dealing in authenticity in genres like blues and country, and even jazz, have encountered similar difficulties. Maybe it’s because it happened on our doorstep, almost literally as you will hear, that Ngcobo’s case seems to rankle more than most. He had been recorded before – inevitably, David Marks of 3rd Ear had seen to that – but infrequently and not for commercial distribution, and it wasn’t until 2004 that an album of his material was released, when World Music Network, the UK label best known for its wonderful Rough Guide series of regional and stylistic compilations, selected him, along with Vakoka of Madagascar and klezmer group Sukke, to launch its 'Introducing' imprint, and Introducing Shiyani Ngcobo was allocated the INTRO101 catalogue number. It is reviewed in these pages. Ben Mandelson, an English producer of considerable experience, renown and taste in the local music of foreign places, flew to South Africa and supervised the album’s recording, in the basement of the house next door to where I live. So the hadedas calling out over Izinyembesi, just as Ngcobo’s insistent guitar figure breaks out from the familiar flourish of the izihlabo introduction, and flying noisily over the middle of the igogogo oil can guitar-propelled Ngeke Lithuthuke, are probably the same ones that wake me too early on a Sunday morning and leave that ugly mess on the brick paving. In fact, parts of the album were recorded outdoors, so that, conceptually at least, there’s a sense and even a memory of the Zulu men one would encounter in years gone by walking around the Durban suburbs as guitar playing in the ukupika style introduced on record by the great John Bhengu filled the early evening air. A further irony is that it was Bhengu, under the name of Phuzushukela, who would eventually electrify and transform the music, and ultimately bring about the commercial demise of musicians like Ngcobo. Maskanda is usually played solo, and Mandelson and Ngcobo, a consummate guitarist as subtly persuasive as he was rhythmically compelling, hew inherently if not dogmatically to its essence. So, 'Introducing' is by no means a dry exercise in either the history of local culture or the culture of local history. While Sevelina is just igogogo and voice, Ijadu is unaccompanied four part singing and Kheta Eyakho is a solo instrumental whose repetitive guitar figure haunts long after it has finished mesmerising, there is a terrific little band elsewhere, constantly thrusting and driving, with keening fiddle and concertina over an electric bass that decorates but never dominates. The album, simple but majestic, deeply rootsy yet mysteriously spiritual, is as irresistible now as it was seven years ago, which is as well for all of us. Shiyani Ngcobo died a few weeks ago without making another record. This piece was first published in South Africa in Business Day on 4 April 2011.